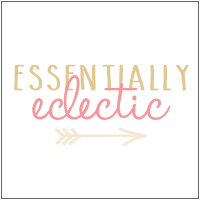 Being True to Me: I am an ecclectic sporadic blogger with average writing skills! It’s been a while since I’ve blogged. I’ve had a lot going on – finishing the semester, getting the boy ready for summer, grieving, … Lots going on that needed to be settled and cleared. I have spent some time pondering this blog. I read a LOT of other blogs and know that the authors of blogs which attract the most readers (and make money) have a consistent theme/topic on which they write. I contemplated finding one or two topics on which to write in order to be consistent and have dedicated readers. I could blog about motherhood, academia, cultural competence, Alzheimer’s, being African American, being a mother to a black boy, being married to an immigrant, being a social worker, etc., etc., etc. Not one of those topic is more important to me than the next. So I decided that my blog will be an eclectic mix of the things that interest me. Be prepared to read about our summer jaunts, my summer readings lists, my sabbatical, my volunteerism with the Alzheimer’s Association, my attempts to explain racial relations to my 4 year old, the adventures of my niece who will soon be here from Africa, our adventures as non-Catholics in a Catholic school, soccer, futbol, food, wine, and so much more! Stay tuned. Be patient with my writing. I hope to post interesting stories and/or tips and I hope you’ll keep reading and leaving comments!